From the Comics Kingdom comments section. I’ve been drawing Jenny (the character in the third panel) pretty much since I started on Sally Forth. For someone to make a comment like this leads me to believe – first of all that they aren’t too familiar with the strip – but mostly that it’s jarring for them to see someone who’s not white in a comic strip. 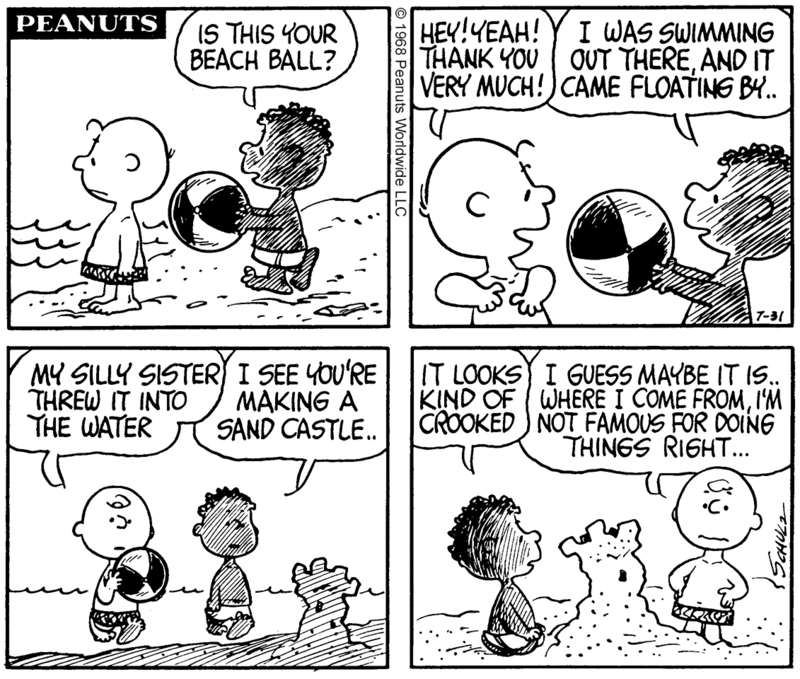 Let’s back up: When Charles Schulz introduced Franklin in 1968 it was HUGE, primarily because it was in the height of the 1960s Civil Rights Movement – Martin Luther King Jr. had been assassinated just months earlier. To wrap up – That Sally Forth NOT having an all white cast in 2018 can somehow be seen as a political statement is a weird way to look at the ink blots I’ve put down – a Rorschach test that says more about the viewer than anything else. 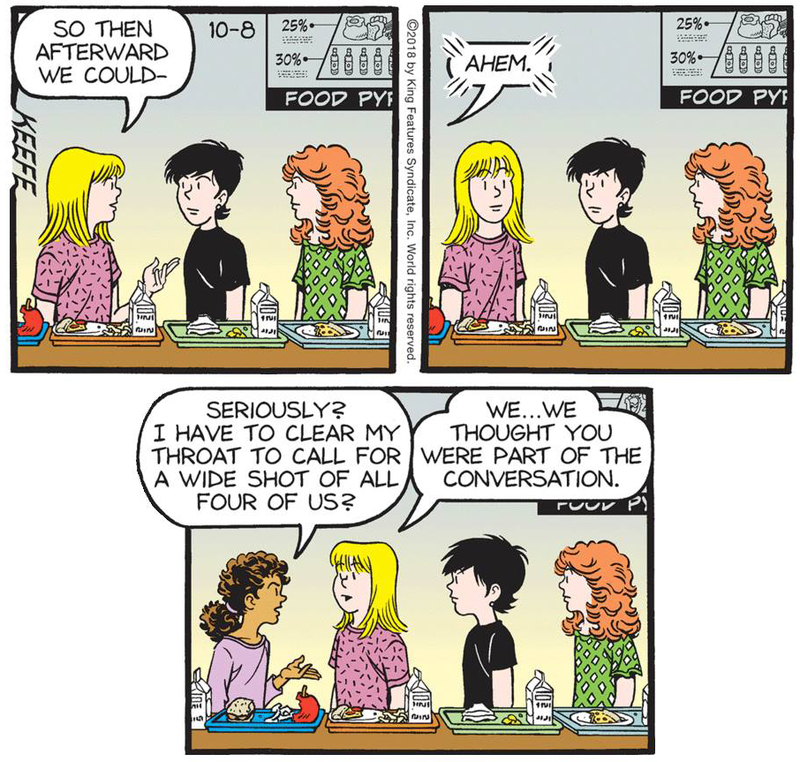 This entry was posted in Ramblings & Reviews, Sally Forth and tagged diversity, Franklin, Peanuts. Bookmark the permalink.